My favourite thing about this whole look is the total clash in fabrics. 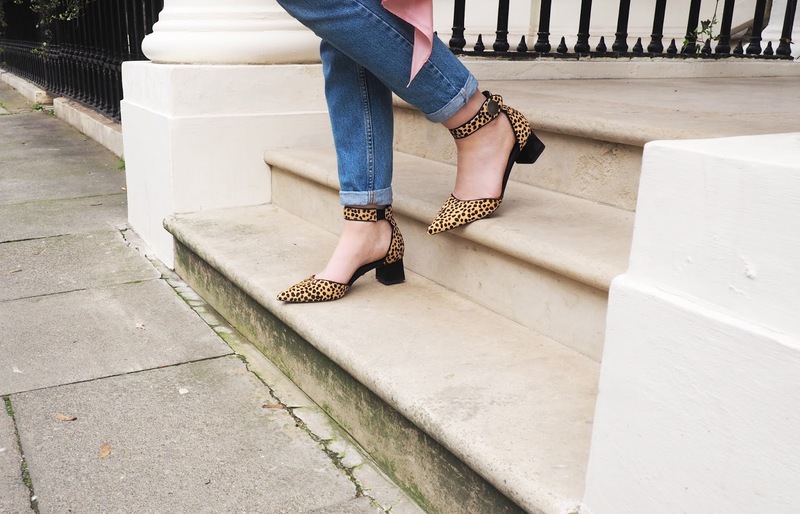 On the top we have a super floaty and feminine fabric in the softest shade of blush pink, while on the bottom half we have a mixture of structured denim and statement leopard print in the leopard shoes. 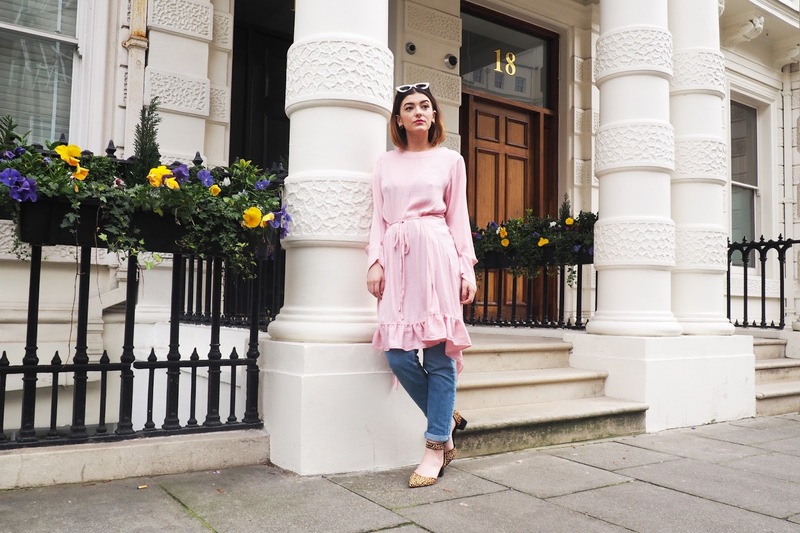 Pink is such an on-trend colour this season, but paired with denim it toughens the colour up a little for a more day-to-day appropriate look for me. I've seen so many bloggers clashing the colour with red and I am simply dying to try it out! I feel a great look could be a simple red slogan tee, some pink denim trousers and some white trainers. 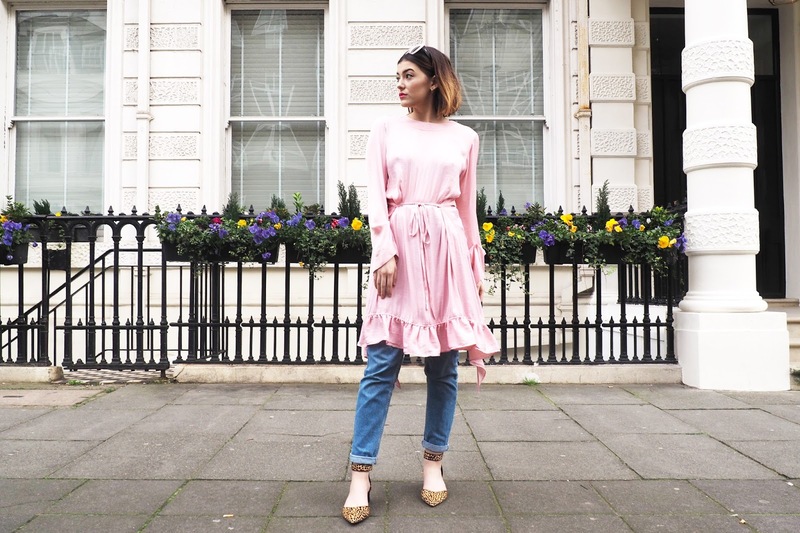 How would you style the 'pink' trend this season? 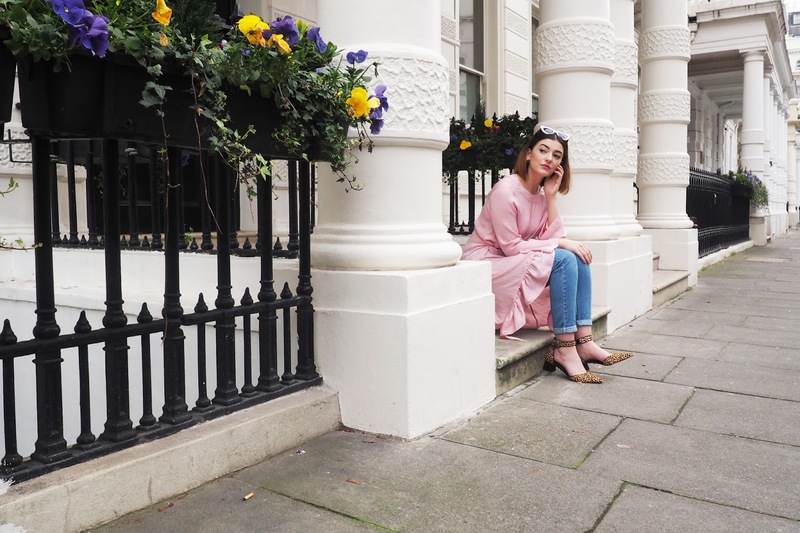 I'm so obsessed with the pink trend at the moment! I love the way you styled the pink dress with jeans. 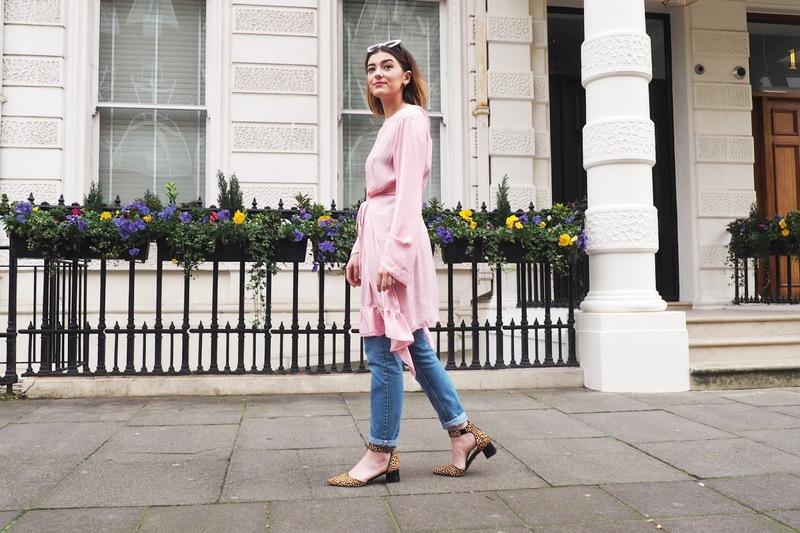 I just picked up some pastel pink, chunky heels over the weekend which I'm super excited to wear for the spring!